With less than one week until Valentine’s Day, time is running out to create an unforgettable gift for your loved ones. And since nearly everyone else in the world will be searching for flowers, chocolates, and restaurant reservations, why not think outside of the box and make a heart-felt homemade gift. Here are five ideas you can use to delight the special person/people in your life. 1. 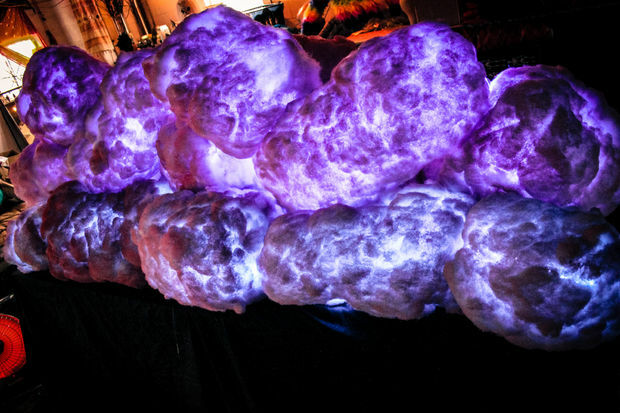 Cotton candy LED clouds – this amazing Instructable post describes how you can turn chicken wire, insulation, and LEDs into breath-taking cloud sculptures. Who wouldn’t be touched by receiving their very own cloud? 2. 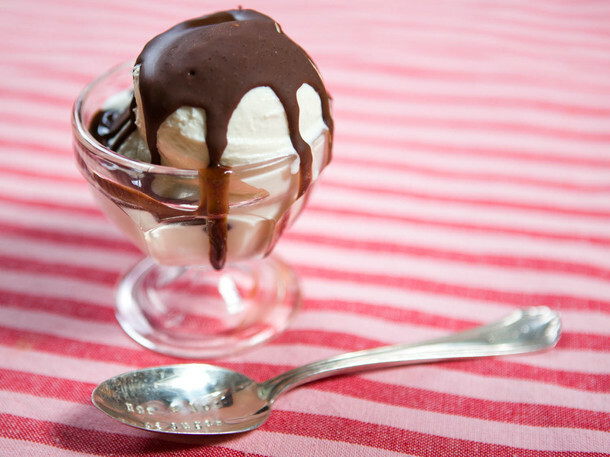 Make your own magic shell chocolate dip – Make a decadent dessert with this extremely simple DIY magic shell chocolate dip recipe. Instead of using whatever dark arts (aka food chemicals) used to make the real magic shell, this recipe uses healthy and delicious coconut oil. 3. 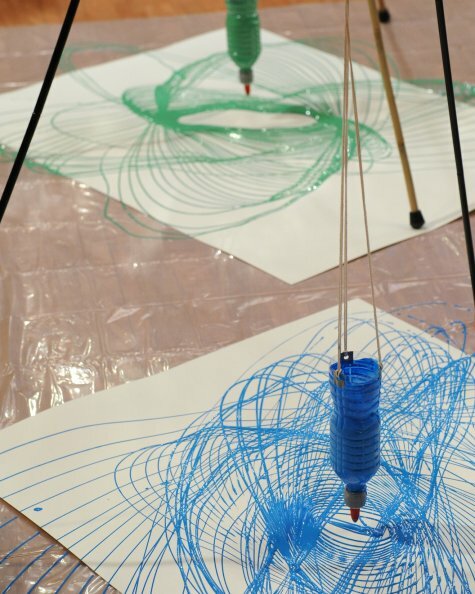 Pendulum painting on snow – London is blanketed in snow right now. Instead of seeing the snow as an impediment to romance, think of the snow as a blank canvas. Set up this pendulum painting, arm it with biodegradable beet juice, and make a romantic outdoor Valentine’s Day painting. 4. 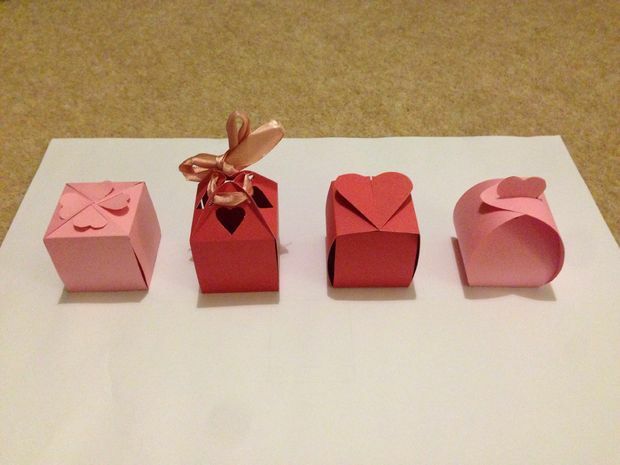 No glue Valentine’s Day boxes – Origami projects make excellent Valentine’s Day gifts. This tutorial shows several different ways of creating origami boxes to hold special surprises. 5. Make something together – Making something with your special someone is a great way to create an unforgettable Valentine’s Day. Not only are you getting the chance to do something fun together, you’re learning new things and creating projects that will have lasting significance. While there are a number of different places in London that offer fun workshops, we recommend checking out the London Potter’s Guild for a fun workshop.